Do you want to be skipper for a day? 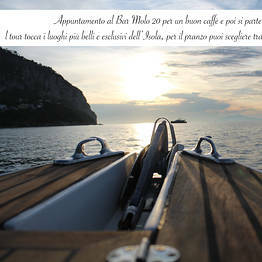 Or are you already experienced at sea and want to explore the coastline of Capri in complete freedom? The perfect solution is a full-day rubber dinghy rental, perfect for the tiny sea caves and crystalline coves just waiting to be discovered! 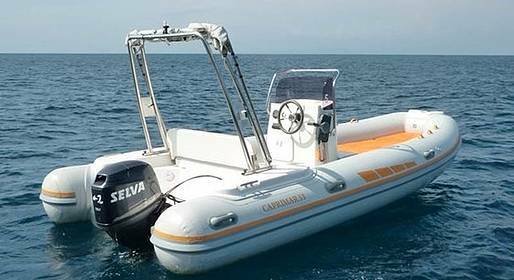 We recommend a dinghy rental without skipper to those who have experience at sea, as the coastline of Capri can be crowded with other boats and vessels during the high season. The meeting point is Limoncello Bar - Molo 20 in Marina Grande. Cancellations received at least 4 days before the reserved date: no charge. Cancellations received less than 3 days before the reserved date: the entire amount will be charged. Cancellations due to adverse weather or sea conditions: no charge. "I booked the private tour of Capri by Gozzo. The skipper was so kind and nice. Thank you very much for making the beautiful memory in Capri!" 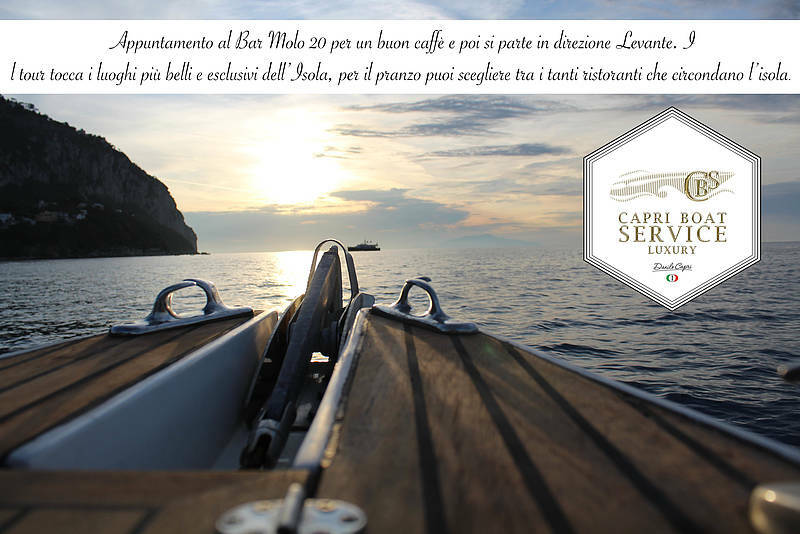 Capri Boat Service: ":) thanks this is Capri Boat Service :) "
"The booking process with capri.net was simple and straightforward. The boat skipper for our private tour was kind and accommodative to our needs. This boat ride was memorable!" 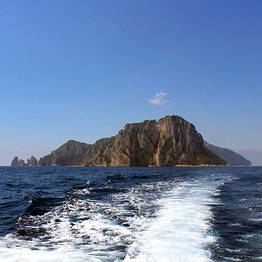 Capri Boat Service: "thanks :) i wish see you soon !!! danilo capri"
"Our driver Giuseppe was a wonderful and friendly host. Boat was great and the 4hors we spent just flew past. Happy to recommend them. Tony "
Capri Boat Service: ":) THANKS I WISH SEE YOU SOON IN CAPRI !!!!!! DANILO CAPRI"
"We booked the boat tour around Capri and our driver Pero was amazing! We did the 4 hour tour and he showed us all around the island & even left us alone to relax in the marina. I would do it again!" 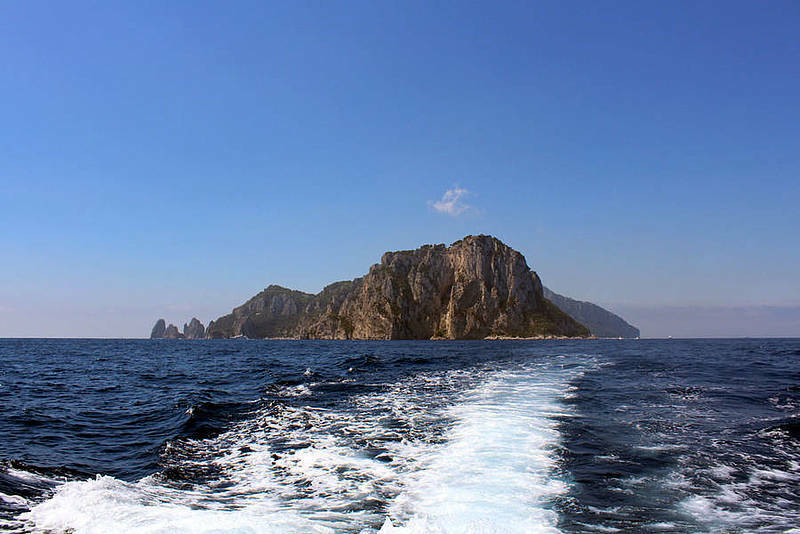 "The private boat tour around Capri with Davide was the highlight of our trip! It was an incredible experience that I recommend to everyone. Davide was sweet, knowledgable, and accommodating." "Geoff and Julia from Toronto. Make sure you get Domenico for your excursion. The best. Capri Boat Service is the best. Very efficient booking process. " "This was the highlight of our trip! Paulo was awesome and we've already recommended him to several friends who will be in Capri this summer. This is a must do when in Capri." "Hands down the best part of our trip! A little confusing during the booking process, but they were incredibly helpful and accommodating when we arrived to Capri. Our boat tour guide was great!" "Booked this for the wrong day and only realized it day before. They were understanding changed time without problem even though it was a busy afternoon. Giovanni was excellent and great with kids." "Really enjoyed our day! There were 7 in our family, who were all exhausted after 10 days in Italy in 90-100 degree F. heat. So Ivan was very understanding and let us swim and just enjoy the ride:)"
"Excellent service, the captain Iván Fucci was an extraordinary host. 100% recommended. Nice trip, good food at Capri and excellent boat. " Capri Boat Service: "thanksssssssssssssss see you soon in capri ...... danilo"
"We used the transfer service from Naples to Capri and back. Every detail was expertly handled. Upon our return, we literally stepped off the boat into a waiting car. Outstanding!" "Ivan was a great captain and the boat was very nice! " "A great simplification of the process of getting to and from Capri. Efficient, courteous, and pleasant."